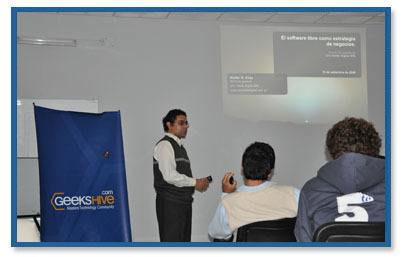 The past August 28th on the occasion of World Software Freedom Day, GeeksHive took part in a training event carried out in its facilities of Paraná, Province of Entre Ríos, in Argentina. With a significant attendance of certified Geeks, the meeting was one of the thousands carried out in the world for this significant technological event. The first lecture was in charge of Diego Gómez who discussed about IT technologies home Sales and Value-Added Products. Straightaway, Walter Elias, a certified Geek to the Community, gave a talk on “Freeware as a business opportunity”, arousing great interest among the attendants, who, after listening attentively the contents proposed by the paper, were involved in an enlightening exchange of ideas related to the topic. Going on with the proposal, GeeksHive made a revision of some aspects related to the Community functioning and then about the extranet system as a management tool, expanding some of the concepts expressed in the previous expositions. 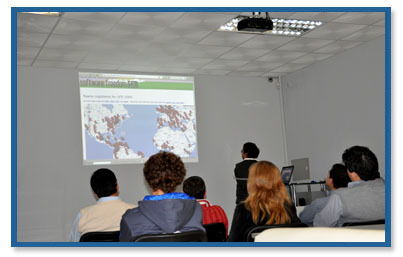 The presentation was in charge of Sebastián Monzón, GeeksHive Development Director. As closure of the event, it was performed the presentation of Userful Multiplier as an option to lessen the digital divide: High performance PC’s virtualization to low costs. How to make 10 jobs out of one Pc. Infrastructure for schools. 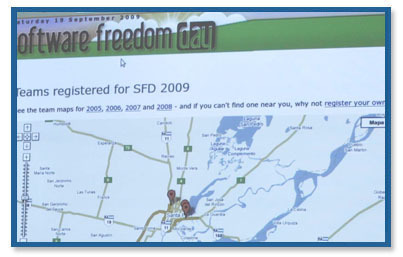 In the world Software freedom day, GeeksHive brought its vision and shared the principles of this global initiative.